"Run yourself the perfect temperature bath, get in, then take a moment to let go of the world outside your bathroom, before launching your ballistic into the water and watch it fizz away." This is probably my favourite Lush bath bomb because it smells like lemon sherbert, which I love. It was one of the first bath bombs I was ever given by an ex boyfriend and I just became obsessed with it and then I stopped using it for a while because I found it very overpowering. 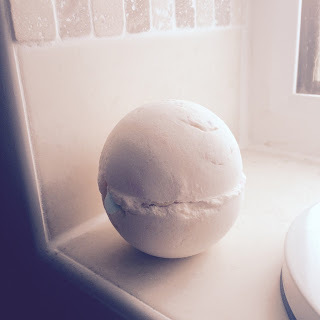 But when I went into town with my friend Chaz I decided to buy another Dragon's Egg bath bomb and try it out again and once again I am in love with it. It turns the water into a orange/gold colour and it just relaxes me so much. Inside the bath bomb there are different coloured piece of paper that dissolves and there is popping candy in it which makes me feel like I'm 5 years old every time I put this in my bath. I would definitely suggest this bath bomb to anyone who doesn't like floral scents but loves citrus smells. "Do you want to have a bath bomb? Do you want to splash and play? Take this magical blend of uplifting grapefruit and Tunisian Neroli into the bath with you to thaw the iciest of moods." When I first got this bath bomb I was a little sceptical because I wasn't sure if I liked the smell of it. At my family home in Suffolk, our bathroom is duck egg blue with cream and beige tiles and I actually purchased it so it would match, which I know sounds crazy. But once I placed it in the bath I loved the smell and I love grapefruit, as most of you will be aware of as I only buy The Body Shop's grapefruit shower gel. I can't smell much of the grapefruit in this bath bomb but I love the smell of the Neroli oil and to me it smells of spices and just makes me feel happy. 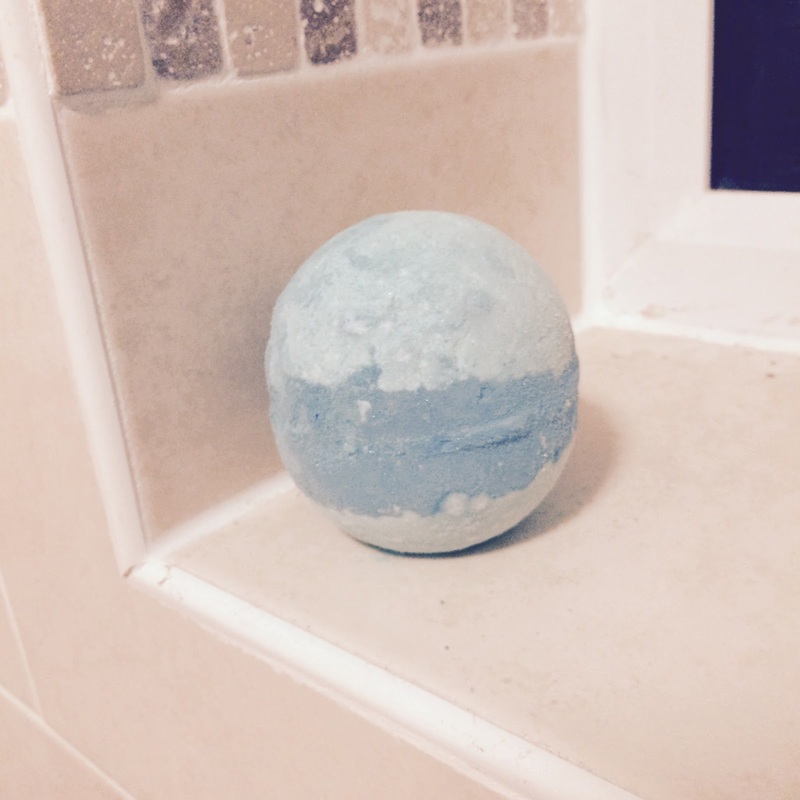 It turns your bath into a gorgeous turquoise colour and there is glitter in it and it just makes you smile so much. I hope this also stays in the collection and becomes a staple bath bomb because I do love it so much. "Birds of a feather bathe together! Slip into something more fruity with this cocktail-inspired reusable bubble bar, filled with fragrant rosewood and ylang ylang. Let the bubbly flow." This is the first time that I have actually got the Pink Flamingo Bubble Bar and I am in love with it so much. I don't know if it is a limited edition bubble bar and I am hoping its not because I definitely am going to go get more. So if you don't know what a bubble bar is then it won't fizz like a bath bomb and instead it will create bubbles. You just swirl it around your bath a few times and then you can reuse your bubble bar another few times. 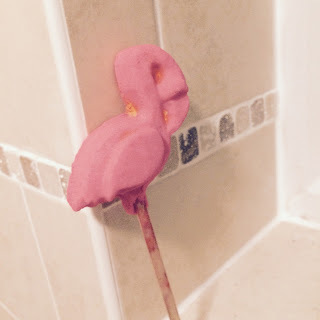 When I saw this pink flamingo I knew I had to have it because it just looks so cool and sometimes the Lush products don't actually look like the thing its supposed to be but you can tell this is a flamingo. I love the smell of it and my friend Chaz thought it was really strong but I struggled to smell anything at all, so I think the smell is quite faint but when I could smell it, it was incredible. It obviously turns your water pink and I will get a good few uses from it. The only problem is I go back to University in two weeks time and I usually have showers as they are quicker so hopefully it will last until Christmas. I love most of the Lush products but these are my absolute favourite. The quotes are from the labels that came with each product and the list of ingredients and their qualities are from the Lush website.